Spring has well and truly Sprung at Brazilian Beauty Headquarters! We’ve been busy curating the latest Spring beauty looks to try in salon. Here’s our guide to getting ahead of the beauty curve this September! Ditch the heavy foundation and swap for a light, buildable mineral makeup that lets your skin breathe! Embrace the warm weather glow and let your natural gorgeousness shine through. 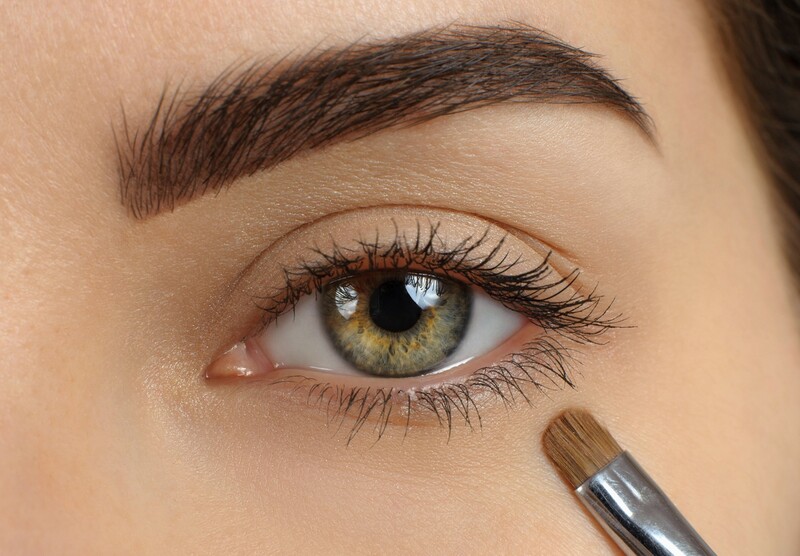 Apply concealer where you need it, then dust mineral foundation over your skin in a swirling motion. Voila! It’s an oldie but a goodie. Gold, bronze, and copper-y eyeshadows suit almost every skin type, eye colour and eye shape! Dab on the colour with your ring finger for a bold statement or use a fluffy brush to blend the colour out for an au naturale finish. Not sure we’d put our lipstick here… Looks fab none-the-less! Party like it’s 1999 again with fun pops of neon in your day to day look. We are in love with bright eye liners this Season. 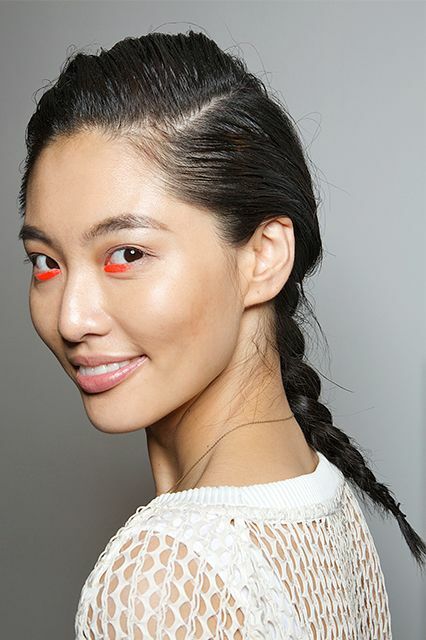 Bright eye shadow is probably #NSFW but we’ll rock a neon lippy any day of the week. Try ASI’s Perfect Pout bright orange-y pink lippy in Tango for the perfect hit of full-on colour. Expect instant happiness! This season brows mean business. 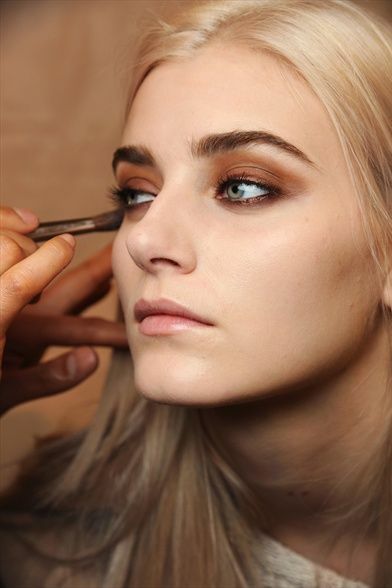 Groomed brows are back in a big way. There are hundreds of products available to tame and maintain your brows to help you execute #browsonfleek. A handy stencil and long-lasting brow pencil or powder are your brow besties. Gone are pencil thin brows and bushy un-chartered brow territory… in are precision waxed and penciled brows that are nothing short of a masterpiece. She’s got it glowing on! Need we say more? 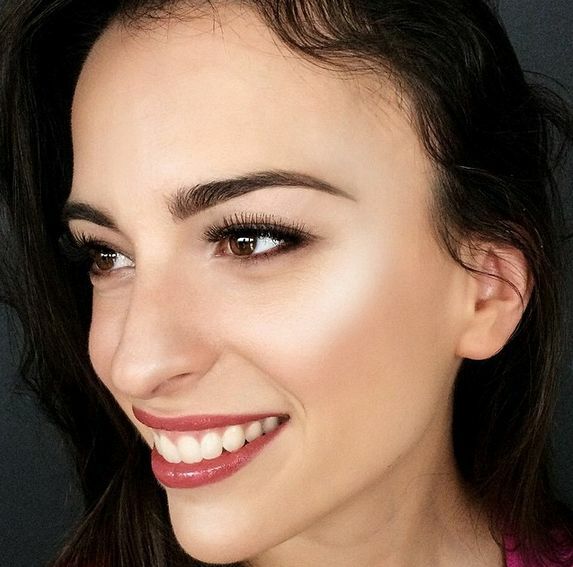 Dewy skin that glows from within. Don’t know what it is? We’ve got you covered. Read our blog here and find out what the heck it is! Whether is a simple cat-eye, or exaggerated double tailed work of art, graphic eye liner is your go-to for the modern cool girl. Arm yourself with a fantastic liquid or gel eye liner and start lining those peepers. The best thing about this trend? Anything goes - so get creative! Don’t forget to share your look with us on Facebook or Instagram! Need extra assistance in the makeup department? Our clever Beauty Therapists at Brazilian Beauty will walk you through all the tips and tricks with a Professional Makeup Application. It’s redeemable on product, so you can take the gorgeousness with you!